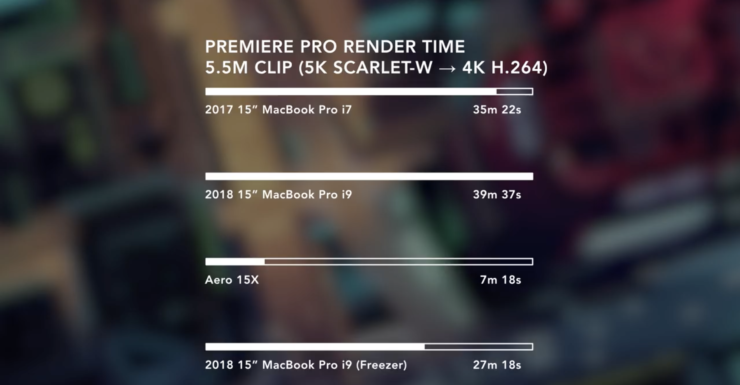 Apple’s 2018 MacBook Pro refresh finally does the right thing for the users that it claims to target. It introduces adequate processing power, RAM, and storage specifications for folks who need to run applications requiring hefty computing specifications and fast storage. The bulk of upgrades are focused on the 15″ variant of the lineup and are accompanied by the usual premiums that Apple charges for its products. 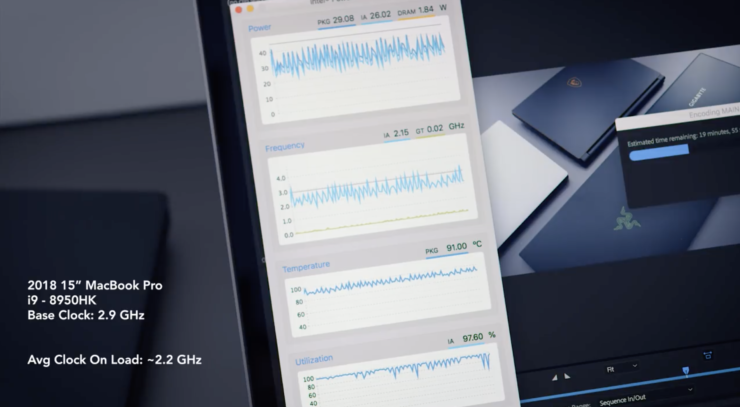 The highlight of this year’s MacBook Pro refresh is Apple’s decision to introduce Intel’s hexa-core, Core-i9 8950HK with a 2.9GHz base frequency, 4.2GHz of Turbo Boost frequency, 12MB L3 Cache and 45W TDP for the 15″ variant. An impressive feature of the 2018 MacBook Pro lineup is Apple’s ability to fit all this upgraded hardware in its remarkably thin form-factor for the lineup. However, this just might end up backfiring for the Core-i9 variant. Head over below for more details. Since Apple was quick to make the 2018 MacBook Pro available to consumers, it’s only natural that a lot of folks are getting around to test the notebooks. The fist of these was iFixit, who took no time at taking apart the 2018 MacBook Pro’s keyboard to see how Apple had fixed earlier problems. However, while this is somewhat of a secondary issue, now, we just might be on the verge of something big. YouTube Dave Lee is another user quick to get his hands on Apple’s latest MacBooks. Lee went all out and purchased the Core-i9 variant since he’s got a good amount of computing needs. Now, looks like he and other users who ordered the machine might be in trouble. As you can see in the scores below, the 2018 MacBook Pro doesn’t perform at par with the 2017 models, despite having a Core-i9 chip under the hood. 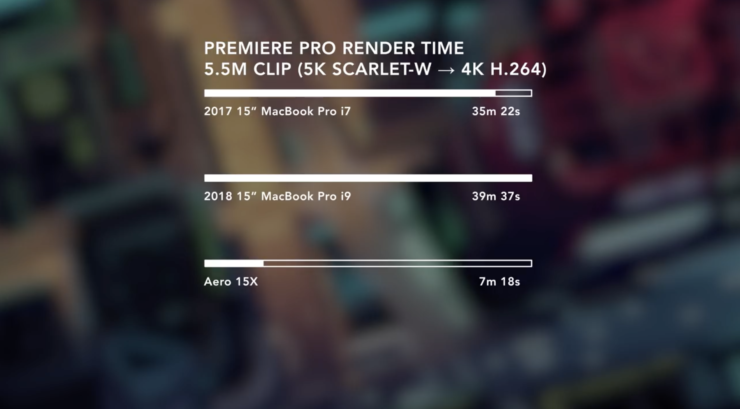 The above images represent render times for a 5.5 minute Premier Pro render and the MacBook Pro 2018’s corresponding hardware statistics. As you can see, the CPU frequency is all over the graph as the Core i9 continues to struggle with heat dissipation and at keeping up with computing needs. Apple’s decision to fit a hexa-core processor with 45W TDP into a chassis that has previously worked only with quad-core variants of similar power consumption really does not work that well. In fact, as Dave found out, the 2017 Core-i7 MacBook Pro outperforms the 2018 Core-i9 variant; a result that should turn some serious heads over at Cupertino. However, the Youtuber didn’t stop there. 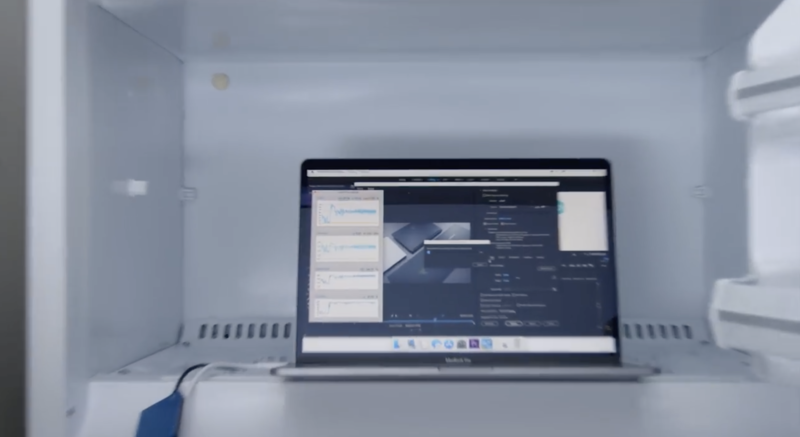 He went on to further confirm the results’ validity by placing the 2018 MacBook Pro with Intel’s Core-i9 8750HK inside a freezer. Take a look at the results below. 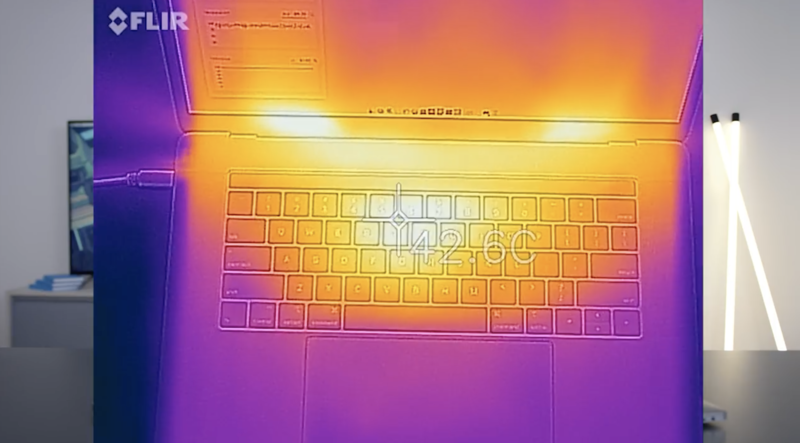 As you can see, when put in a freezer, the MacBook Pro 2018 gains 10 minutes in rendering time as it allows the i9 to fully stretch its wings. This confirms the problem is overheating as Apple’s thin-form factor and chassis really cannot keep with the Core-i9. Right now, it looks limited to one machine only but as others start to roll out, the throttling might become widespread. If it does, then Apple’s rush to appease professional users will have bit the company in its side. Additionally, if the problem does become widespread then Apple’s solutions will be limited as well. The only fix for defective models in user hands is a software update that underclocks the processor. This will defeat the purpose of having the processor in your notebook in the first place. Or, if Apple feels generous, then it could guide users to its stores for the application of thermal paste – which is unlikely to completely solve the problem. As an added bonus, we’ve also included some GPU benchmarks in the gallery above. Thoughts? Let us know what you think in the comments section below and stay tuned. We’ll keep you updated on the latest.